Persistent insomnia is even worse for you than you thought. In addition to the weight gain, memory problems, inability to perform, depression, and increased cancer risk that come with sleep deprivation, it turns out that not getting enough sleep also allows neurotoxins to build up in your brain, especially one protein, beta-amyloid, that can further worsen sleep and is also linked to Alzheimer’s disease. As Quartz, where we first spotted the study, points out, previous research has shown how the brain flushes out neurotoxins during sleep. A 2013 study found that in mice, sleep allowed cerebrospinal fluid (found in the brain and spine) to mix with other fluids to flush beta-amyloid from the brain. In the newly published study, researchers looked at 26 healthy adults’ performances on memory tests when they were alert and then had those adults perform the same tests after a night of sleep, with EEG monitors measuring their brain activity. Adults who slept poorly performed poorly on memory tests. Brain imaging tests showed that those adults who slept poorly had the highest beta-amyloid levels in their brains too. There’s a particularly vicious cycle at play here too, according to the researchers, who write that having higher levels of beta-amyloid in the brain makes it harder for you to get deep sleep, which is essential for removing beta-amyloid. 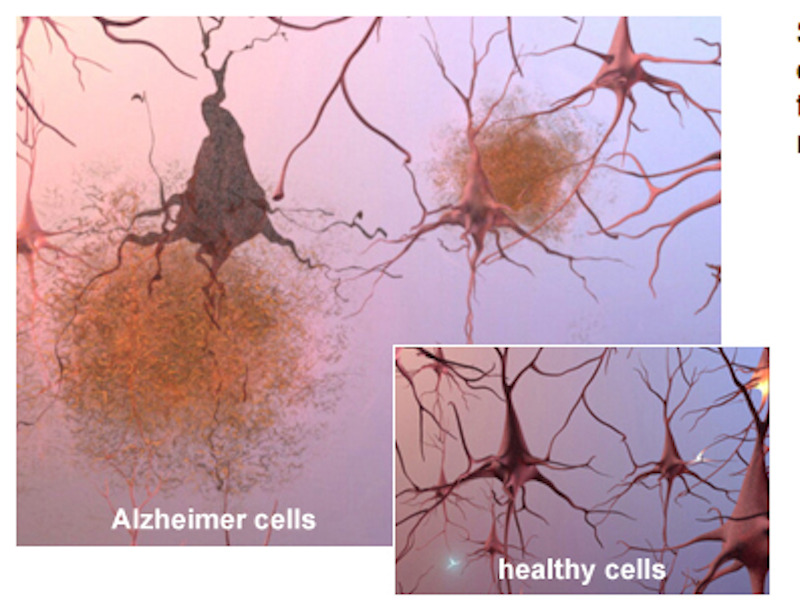 Alz.orgThe buildup of toxic waste proteins causes brain cells to die in Alzheimer’s disease. 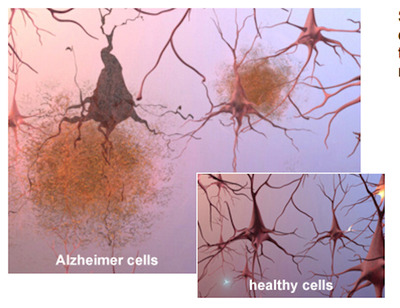 Scientists say that beta-amyloid plaque buildups are key “hallmarks of Alzheimer’s,” found in the brains of patients who suffered from the disease. Because of this, they suspect that if sleep can help prevent neurotoxin buildup it could be a “target for fighting back against memory impairment in older adults and even those with dementia,” according to Walker. We might be able to fight the disease by improving sleep. 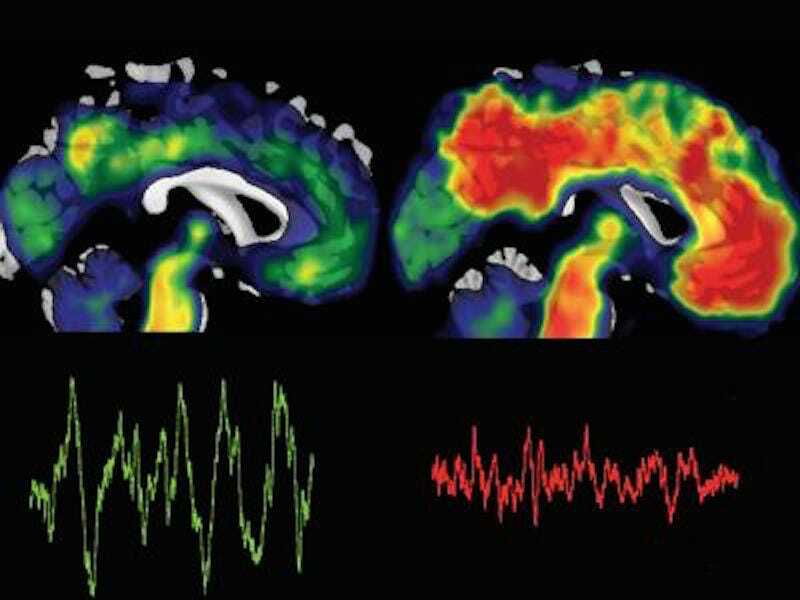 Bryce Mander and Matthew WalkerHeavy deposits of the toxic protein, beta-amyloid, shown in red in the brain on the right, are linked to poor sleep and may be paving the way for Alzheimer’s disease. A brain benefiting from deep sleep brain waves and an absence of beta-amyloid is shown on the left. The bad effects of not sleeping might be scary enough to keep you up at night, but these findings offer a glimmer of hope. 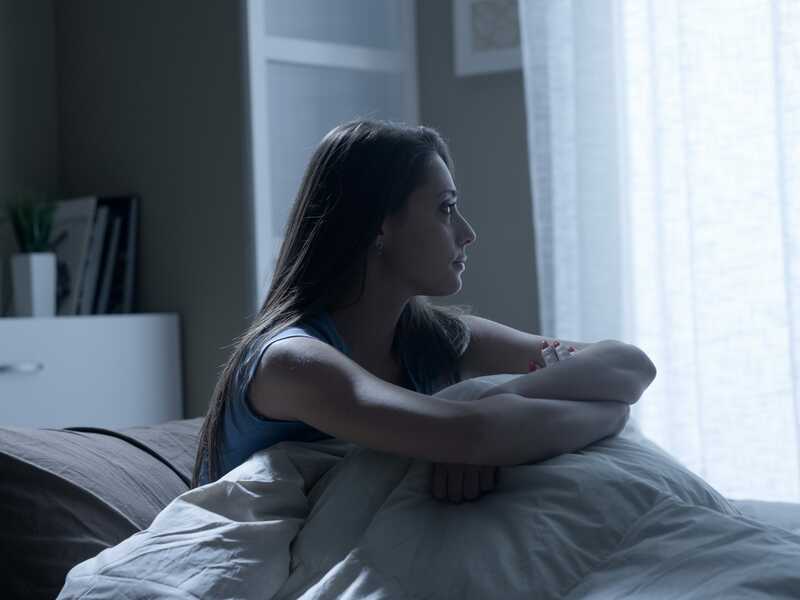 As hard as it can be to battle insomnia, bad sleep is something that we do actually have ways to treat, through cognitive behavioural therapy, exercise, and even electrical stimulation to increase deep sleep. And in turn, that might be a way to help fight back against Alzheimer’s, a frightening form of dementia that gets progressively worse over time and one that’s becoming more common. The research team, from UC Berkeley, will be tracking a group of older adults over the next five years to see whether or not sleep problems can function as an early warning sign for the disease.